Get a flavour of French life with this delicious combination of recipes and facts! Take a trip to France and learn to cook its typical dishes while you discover its cities and local festivals! This photo-filled book is a real treat for keen young foodies and travellers alike. 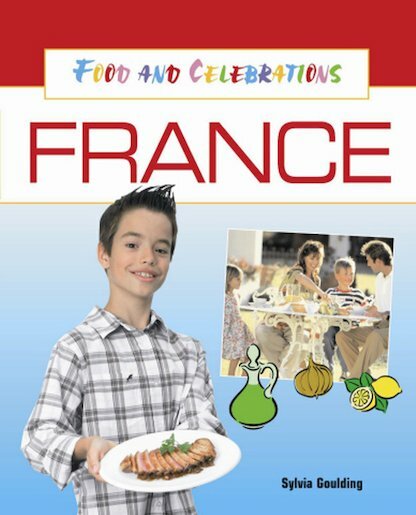 Facts about the French landscape and culture are brought alive by a selection of easy-cook regional recipes, from Alsace onion tart to garlic chicken and North African Mechoui. As you tour round France, admiring the stunning photos, you’ll discover how people celebrate major festivals, spend their free time, grow their food and much more. A list of major dates and weblinks concludes this exciting book, guaranteed to tickle tastebuds and awaken curiosity!